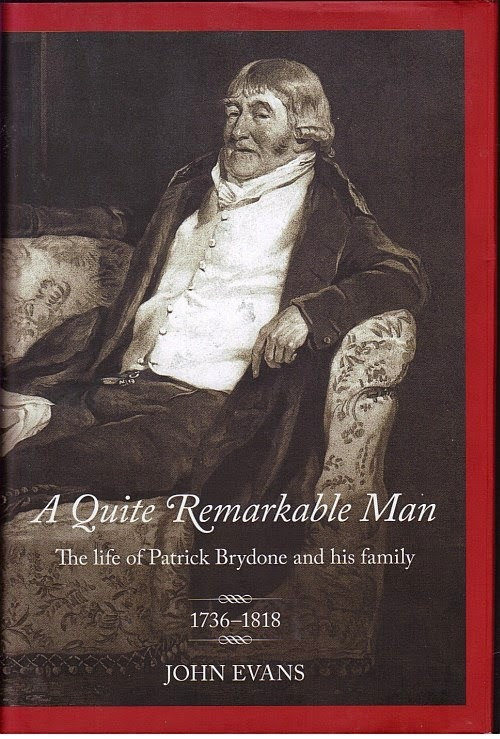 This is a review of A Quite Remarkable Man - the Life of Patrick Brydone and His Family (1736-1818)’ by John Evans. Hardback. 384 pp. Published by Amberley Publishing, Gloucestershire, England at £20 (now £18). ISBN 978 1 4456 3890 4. Patrick Brydone was born at Coldingham on 5 January 1736 to Rev Robert Brydone and Elizabeth Dysart, married Mary Robertson on 4 April 1785 and died 19 June 1818. Sir Walter Scott described him as our pilgrim and as "My venerable friend". He experimented with electric shock therapy on willing patients; as an army officer, he saw action in France, Portugal and Spain during the Seven Years' War; a tutor in Europe to William Beckford, owner of a large Jamaican sugar estate; author of A Tour through Sicily and Malta - 6,750 copies sold in under 4 years; visited France, Switzerland, Bavaria, Prussia and several other German territories, Austria, Italy, Malta, Hungary, Slovakia, Poland, Russia and became comptroller-general of the London Stamp Office. He was obviously a scientist, explorer and a diplomat, so he clearly was a remarkable man. There's lots of interesting detail about Italy and Russia but rather less about other countries. Everywhere he seems to have met important people, however there are also anecdotes about peasants and more mundane events. I was interested to learn that miners at a copper and silver mine in Spania Dolina (now in Slovakia) in April 1776 received 12 kreuzers (about 2½p) for an 8 hour day. His daughter, Mary, married the Hon. Gilbert Elliot, eldest son of the first Baron Minto, the other 2 daughters married an admiral and a minister. 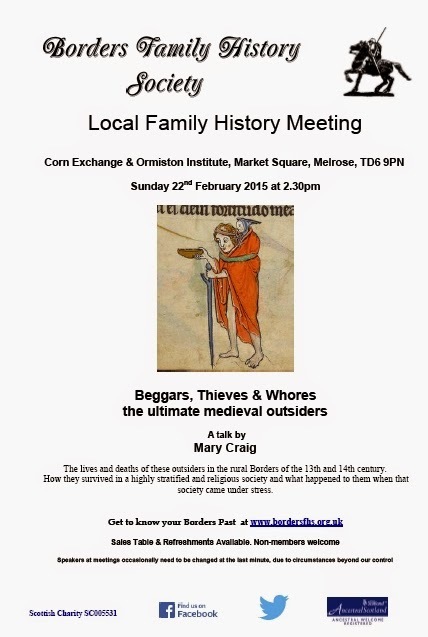 There's some bits about life in the Scottish Borders and other parts of Scotland. The notes to the book have more detail, there's a bibliography, and an index, mainly of people. It took me a long time to read this book because, at 384 pages, it is a very long book and rather an academic book. Unlike most academic tomes, it is thoroughly interesting, lots of anecdotes about the celebrities of the day, pastiches about life in all the countries he visited, and helped me to understand events in Britain and Europe during the 17th century. There are lots of illustrations, too. Today, we're quite used to people going off on holiday all over the world but that wasn't common except for the wealthy in the 18th century. Patrick Brydone not only visited more than 15 countries by travelling thousands of miles in horse-drawn carriages but found time to shape government policy and write about some of his travels. As I hope the above shows, this book is well worth reading and if I had to find a criticism, it is that I would have liked a sort of "dramatis personae" so that I be reminded at a glance who somebody was when I encountered the name later on in the book. Not only was this book very interesting but it's inspired me to read Brydone's book 'A Tour through Sicily and Malta' which I've discovered is free on the web.